Let me just get this out of the way right up front: I don’t think silos are evil. In 1988 Phil S. Ensor, an organizational development and employee relations professional at Goodyear, coined the term and from that point on information silos, or stovepipes, or just silos became something to break. There are many compelling arguments for breaking silos, and I think those compelling arguments are often the source of zeal for the cause. Take this example; an ambitious Accounts Receivable (AR) Clerk and a Talent Acquisition (TA) Specialist each create a customized spreadsheet to make their individual workflow more efficient. Neither is aware of the other’s work, but with just a few adjustments the same spreadsheet could work for both employees. Believers in silo-breaking would say if they only knew they were each working on essentially the same time-saving device, they could help each other tremendously – and possibly countless others across the organization. I actually drafted a post for today that was in support of silo-breaking but as I considered all the reasons to tear them down, I also considered how they come to be in the first place. The latter of part of my thoughts eventually convinced the former to switch sides. Trust me, it was a riveting debate in my head. Silos create concentrated spaces of expertise, where iron sharpens iron and operational teams form. These teams, over time, develop their own discipline-specific timbre. This timbre is what makes the members of the operational team feel connected and work together with greater efficiency and results. I work in a silo. It’s likely that you do also. My silo is State Personnel and within this silo we all have at least a fundamental knowledge of each other’s’ function. We know that we are part of a collective, with goals that align to a common mission. We work well together because we speak the same language. If part of our group were suddenly reassigned to another silo we would most certainly feel displaced, confused, and our productivity would take a hit. If silos can be negative or frustrating, such as the case of the AR clerk and TA specialist, but also positive then how do we reach beyond our own silos to connect with others in their silos? I’d like to say it’s simple. It’s a snap to undo decades of routine and practice and throw open the doors to a new normal, but we all know that’s not true. Maybe we start gradually by dragging some ladders out of storage and climbing up to peek over the silo wall and say hello. Maybe we throw open some windows (in my imagination the silos have windows, because, why not?) and send some planks across the gaps in a friendly gesture. What I mean here is that we can stay in our productive silos and still make connections with others in their silos. We can have both and since that possibility exists, I want to challenge you to give it a try. Reach outside of your silo and make a connection. Who knows, maybe you’ll start a trend that ends up having a tremendously positive impact on your entire organization or agency. Feel free to share your thoughts on all of this silo business in the comments. I look forward to interacting with you. 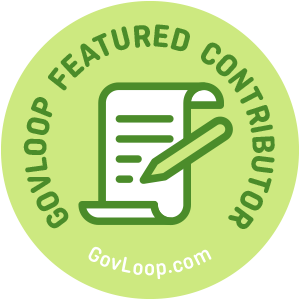 Lisa Menke is a GovLoop Featured Contributor. She is a digital media developer who is passionate about the intersection where opportunities for professional growth and participatory culture meet. 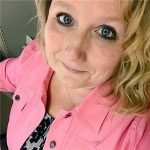 As a training specialist for the State of Nebraska, Lisa is currently responsible for the creation of digital media in support of agency training & development, and communications. Read her posts here. Great post Lisa! It’s easy to hop on the bandwagon and say all silos are bad and should be removed. I know I’m guilty of it myself, but your post brought a different perspective about the benefits of silos and trying to reach a middle ground. Thanks for sharing. Thank you, Nya, for the response. I always appreciate feedback. Hi Victor. Thank you for the response, and for your creative suggestion of adding ventilation to the list of operating principles for circulating information. What a wonderful afterthought!